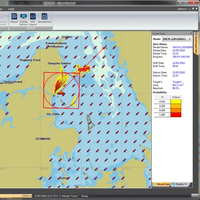 The Danish Acquisition and Logistics Organization (DALO) announced the purchase of a major upgrade of BMT’s SARIS, the search and rescue planning tool that helps save lives, plan searches and minimize danger at sea. The upgrade will consist of a deployment of 20 licenses primarily to Denmark but also including Greenland and the Faroe Islands. A large part of the upgrade will include capacity for ongoing in-house training, with initial training being delivered by BMT. The SARIS technology is designed to help locate targets, whether it be people or objects, lost at sea. A fundraising campaign to build a international memorial dedicated to the estimated 100,000 people who lost their lives during the Battle of the Atlantic in World War II, as well as those who served and survived, is being launched in Liverpool. 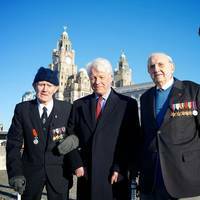 The Battle of the Atlantic Memorial (BOAM), the charity leading the campaign, will stage a press call with war veterans on the Liverpool’s iconic waterfront to launch the fundraising effort to build the 28 meter monument in the shape of a merchant ship split in two. When the Faroe Islands Marine Research Institute’s new research vessel enters operation in mid-2020, research personnel on board will be able to carry out their tasks with greater effectiveness thanks to a high-tech, ultra-silent propulsion package from Wärtsilä. The new 54-meter-long ship, which is being built at the MEST shipyard in the Faroes for the Faroese Government organization, will feature a propulsion system that limits underwater radiated noise (URN) and which meets the DNV Silent R notation. Oil companies are interested in restarting the hunt for oil and gas in the scarcely explored seas off the Faroe Islands neighbouring the more mature UK North Sea, the head of the Faroese Geological Survey said. No economically viable discoveries have been made on the Faroese shelf but the tiny nation hopes to entice energy firms to restart exploration as it shows them new geological data in London on Wednesday. "Oil firms have in many ways shown interest. We are having meetings, they buy data from us, visit us on the Faroe Islands ... So there is an interest and they are looking at the possibilities," survey director Niels Christian Nolsoe said. The Ejde Loran station on the Faroe Islands will be shut down on December 31, 2015, after having been in operation since 1959. At the end of the year, the entire European Loran system will be discontinued. The Loran-C station on Ejde is a part of the Northwest European Loran system, consisting of four stations in Norway, two in France, one in England, one stationin Germany as well as the station on the Faroe Islands. Loran-C is a radio navigation system that can be used for navigation and the receipt of time information if you have a Loran-C receiver. A new edition of the Danish List of Lights has been published that provides the readers with a complete overview of the lights around Denmark, the Faroe Islands and Greenland. The 2015 edition replaces the previous List of Lights from 2013. Lights with fixed flashes, lights with very fast flashes or how about lights with a Morse code. Danish lights come in many different variants and designs, and you can read about all of them in the new publication "Danish List of Lights 2015" (in Danish). The List contains descriptions of the 2216 lights, which is 49 lights more than two years ago. Third generation domestic ferry for service between Nólsoy and Tórshavn in the Faroe Islands. 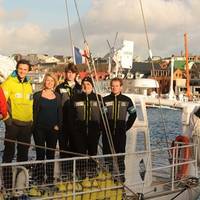 According to the vessel's designer, this project is the second design within the last 15 years for the domestic ferry company Strandfaraskip Landsins and the third generation design by KNUD E. HANSEN A/S for the same route. The first KNUD E. HANSEN A/S ferry design was built in 1949 and was named Ritan. The second was built in 1971 and was also named Ritan. The new ferry will replace the 40-meter RoPax ferry which is currently servicing the island of Nolsoy. Damen Shipyards Group said it has received an order for a Multi Cat 2712 from Norwegian owner Samba AS based in Os (Bergen). 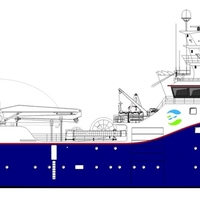 The vessel will be the first newbuild from Damen’s proven range of workboats to operate in Norway’s large aquaculture and oil spot market industry. Living up to Damen’s reputation for fast delivery from stock, Damen Shipyards Hardinxveld in the Netherlands will deliver the vessel in June after completing a number of client-specified customizations. The contract was signed on May 8 at the yard. The Multi Cat 2712 will be the third in Samba’s fleet of workboats. Astrium Services took a survey of seafarer’s usage of crew communication solutions in the commercial shipping sector to establish a picture of mariner communications requirements. According to Tore Morten Olsen, Head of Maritime Services, Astrium Services, the survey was illuminating in more ways than one, helping to shed light on modern comms usage for onboard business and personal reasons. MLC 2006 is here. What is your sense that ship operators and owners will incorporate an increased availability of communications solutions for seafarers? 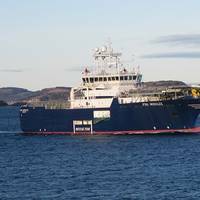 Simon Møkster Shipping’s fleet of 23 offshore supply and specialist vessels is now fully connected to the Microsoft Lync platform through Sealink, Marlink’s customized VSAT service. 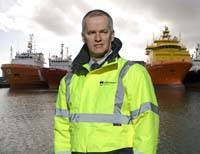 Sealink has enabled the established Norwegian offshore vessel operator to roll-out Microsoft’s standardized business collaboration and communication platform across its organization on land and at sea, resulting in operational benefits in addition to substantial savings in the cost of crew calling. 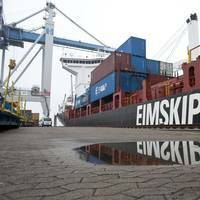 The Swedish Register of Shipping is not competitive, and it will probably never be, according to a new report. The report from the governmental Trafikanalys recommends that there should be less focus on rebuilding a fleet under the Swedish flag in future, according to Maritime Denmark and Sjöfartstidningen. A number of Swedish ships are flagged out to Denmark, while the Faroe Islands has attracted many former Swedish vessels. 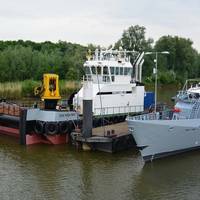 OW Bunker acquire two bunker barges for Nordic operations: 'OW Copenhagen' and 'OW Aalborg'. Prior to the acquisition, OW Bunker operated both vessels on a bare-boat charter from international shipping company the Clipper Group. OW Copenhagen and OW Aalborg are modern double-hulled 3,500dwt tanker barges, built in 2006 and 2005 respectively. 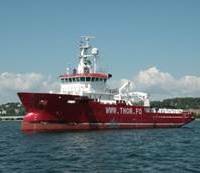 Both vessels have a tank capacity of 4,260 m3, fast pumping rates of up to 600 m3/hr and are oil major approved. As part of the company’s strategy to develop the highest standards within its physical division, the vessels also have Coriolis flow meters to ensure customers receive the right quantity of product during supply. Basic design by Danish naval architects of new double-ended ferry delivered by Hvide Sande Skibs- og Baadbyggeri Shipyard for Swedish route. 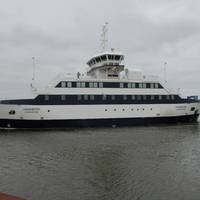 The shipyard recently delivered the 50m ferry named Uraniborg to Swedish domestic ferry company Ven-Trafiken for service between Landskrona in Sweden and the Swedish island Hven in the Øresund. The vessel has been designed as a double-end passenger ferry to carry trucks, cars and bicycles. The main deck is arranged for easy access for pedestrians and bicycles, and the vessel can carry up to 394 passengers and up to 14 cars or 2 trailers and 7 cars. 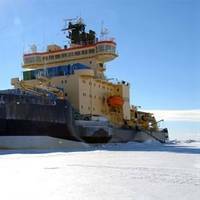 The expedition will be aboard the Swedish icebreaker “Oden”, as it leaves from Svalbard with 46 Swedish and Danish scientists who will gather seismic and depth data to substantiate a future possible claim to the United Nations before November 2014, reports 'Barents Observer'. 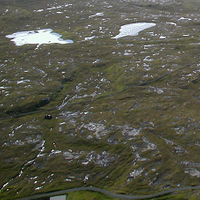 Denmark has identified five potential claim areas off the Faroe Islands and Greenland - both parts of the Kingdom of Denmark. The expedition will try to find evidence that Greenland’s continental shelf stretches all the way to the North Pole and therefore should be considered as Danish. Alnmaritec, the specialist aluminium boat builder based in Northumberland, recently announced delivery of the first of boat that it has built to operate in the Faroe Islands. The ‘Krossteinur’ is one of the popular Wave Angler class from Alnmaritec and she is a rugged and versatile support catamaran built to withstand the rigours of operation in the harsh environment of a fish farm offshore of the Faroe Islands. She is fitted with a 4.5 tonne metre deck crane and a 2 tonne hydraulic capstan and a deck mounted 6.5 kva generator set. 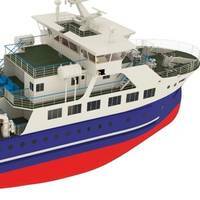 She has a resiliently mounted wheelhouse to minimise noise and vibration and she is fitted with twin Cummins QSB 420bhp engines coupled to Hamilton 322 jets featuring the ‘Blue Arrow’ vector control system for precise manoeuvrability around the fish cages. International classification society RINA has been recognized by Sweden’s Clean Shipping Project as being able to verify ships and shipping companies in accordance with verification guidelines developed for ranking in the Clean Shipping Index. The Clean Shipping Index is backed by a number of Swedish bodies, many of Sweden’s largest cargo shippers, and the EU. It is an index taking a holistic perspective on the environmental issues of shipping. It takes into account the environmental effects connected to shipping, such as emissions to air and water, and the use of chemicals and anti-fouling, and ranks vessels or shipping companies according to their performance under each criteria. It is aimed at giving charterers a clearer view of the environmental performance of shipping providers. The import and export of goods by sea remains a vital part of the regional economy of the north-east of Scotland and this has been demonstrated more than ever this year, with a positive rise in activity levels at the port. Next year is set for similar success, with the Board planning to invest in the region of £24million to ensure improvements at the harbour continue to meet the demands of new and existing customers. There are already some exciting plans in store for 2012, including continued work at Torry Quays with the start of Phase 2 of the development.